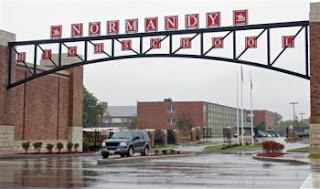 This past week, students at Normandy High School in St. Louis, Missouri faced an HIV infection scare when an unnamed infected individual explained to health officials that as many as 50 students at the school may have been exposed to HIV. The Health Department will not disclose how the exposure may have occurred. However, spokesman Craig LeFebvre said the possibilities include "sexual activity, intravenous drug use, piercings, and tattoos." "There's potential for stigma for all students regardless of whether they're positive or negative. The Board wants to be sure all children are fully educated." However, the negative reactions and backlash have already begun. One teacher in a neighboring school district actually singled out a girl dating a Normandy High School student to get tested. One female sophomore at Normandy, Jasmine Lane, explained that her boyfriend from a neighboring school broke up with her upon hearing the news of the possible HIV exposure. Another sophomore, Tevin Baldwin, explained that several of his classmates now want to transfer to another DISTRICT. It is in situations like this where HIV/AIDS education is needed most. If the school and the district already had adequate education regarding HIV, there would be less panic, less disdain, and more comfort and resources for the person who had already tested positive. It is not until the reality of HIV hits home that people wake up, and they become interested in and clamoring for HIV awareness, education, and resources. Unfortunately, by then in many cases, it is already too late.